A multimeter is a unique must-have tool for both homeowners and professional technicians. The multimeter is useful for performing a lot of tasks like troubleshooting both household appliances and vehicles. It is crucial that you understand the brand of multimeter you are purchasing so you don’t end up damaging your home, your vehicles or even causing any harm to your household with a defective device. We would review the Fluke 116 multimeter, in this review, we would mention the functions, feature and how you can use it. Enjoy! 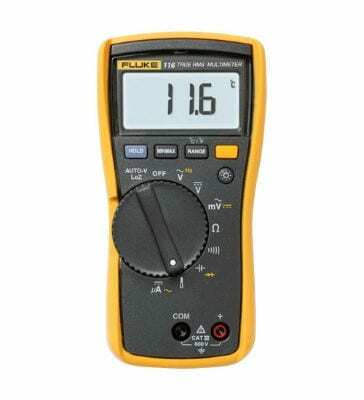 There are also several models of Fluke multimeters, the Fluke 116 is our pick for this study, and we would kick start this review with a brief description of the device. 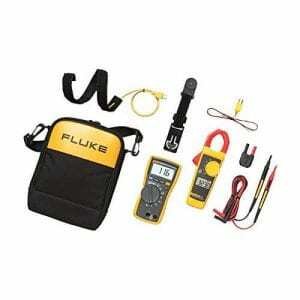 What makes the Fluke 116 perfect for HVAC related tasks? Apart from the fact that this device can read resistance, continuity, frequency, capacity and many more, the Fluke 116 is built in thermometer. With the microamps feature in this device, you don’t have to worry, because you can trust the accuracy of the flame sensors. It also has low input impedance to prevent ghost voltages from producing inaccurate readings. With a category III safety rating of 600 volts you can use them for measurements on circuit breakers, distribution boards, bus-bars, junction boxes, wiring which includes cables, socket-outlets in fixed installations, switches and as equipment for industrial use. Who needs the Fluke 116? Although other multimeters would serve you well, long-time multimeter experts consider Fluke as one of the leading manufacturers of this devices due to their reputation of timely digital measurements, reliability and several convenient features of this multimeter. The Fluke 116 features too many options that may be of no use to an absolute beginner who doesn’t deal with HVAC on a daily basis. So we don’t recommend this multimeter for absolute beginners. Another reason is the price of this multimeter compared to other cheaper easy to use models that you can purchase for your occasional use. For devoted professionals, this quality multimeter would worth every penny as it would meet your needs and probably exceed them. We have described the Fluke 116 and mentioned the usage, although there are several features of the device, we would make a summary that would explain some of its features and specifications telling you what we like and what we don’t like about it. Although there are several positive things to mention about the Fluke 116, for this review, we would suggest some advantages that have earned the device a five-star rating on most review sites. If you have experience working with electrical tools, you would know how frustrating it is to move around heavy tool sets as you work. 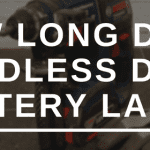 Considering a technician who would likely use his tools all day, having to suffer the ache of pulling around the extra weight of a weighty multimeter in his toolset might not seem fair. The compatibility and lightweight if the Fluke 116 gives you the advantage of handling your tools with ease for as long as you like. Despite the lightweight and small size of this device compared to other models, it is still a very reliable tool, and when it comes to quality or performance, it lacks nothing. For an engineer or an electrician, it is almost impossible most times to avoid working in dark places. Chances of error will be unavoidable if you don’t have a multimeter that can be read in dim lit areas. So to maintain your reputation on occasions like this, you would need a multimeter with a powerful LED backlight that would enable you to take measurements and still be assured of the accuracy. The Fluke 116 features a large white backlight that allows you to work comfortably with confidence by illuminating dim lit areas of work regardless of the time of day. It wouldn’t be an excellent reputation for a device to cost so much and still give buyers the aches of damages, so the Fluke 116 is a durable multimeter. Rather than purchasing a cheap multimeter that might work well for only one or two years of heavy usage, it would be better to go for the Fluke 116. This device might cost you a little more cash, but it is undoubtedly going to serve you longer and give accurate readings for years or even decades. It is designed to withstand drops, bangs and knocks which would be one of the inevitable occurrences of a work environment. Although, it is hard to point out anything that wouldn’t be right about this device. Apart from the fact that this device might not be suitable for everyone, whether these disadvantages are relevant or not, there are still some that could be mentioned. Although the Fluke 116 multimeter, offers microamps for testing of flame sensors, multimeter purists may still point out the 10 Amp input feature that this multimeter might lack. The idea that many other multimeters have the 10 Amp Inputs feature and that is convenient makes it vital that we mention it in this review. Even though you would get used to it quickly; it could be annoying to deal with at first. When the unit is under a particular angle, it tends to lose contrast on the display which may occasionally be a nuisance. However, when this happens, you can slightly tilt the unit to a direction that would be comfortable for reading. It happens in dark conditions when you are making use of the blacklight. If you have read through this review, despite the price compared to other inexpensive multimeters, you would see that the Fluke 116 has all the required features you need. Finding an appropriate multimeter could take trials and errors, so even though there are less expensive multimeters out there, many of them may not offer features of this level and last as long as the Fluke 116 would, but you might get lucky. However, to ensure quality it is better to go for a more reliable product, so if you want to purchase a quality multimeter with an aim towards testing HVAC applications, then this device is what you should consider buying. Download Fluke 116 True-rms Multimeter User Manual – Here! Related posts about Fluke 116 True-rms Multimeter in Forums – Here! Although the Fluke 116 is built primarily for HVAC professionals, it can also be a great tool in the hands of household owners, as it can function for most household appliances.